Five stars. Five tissues...at least. 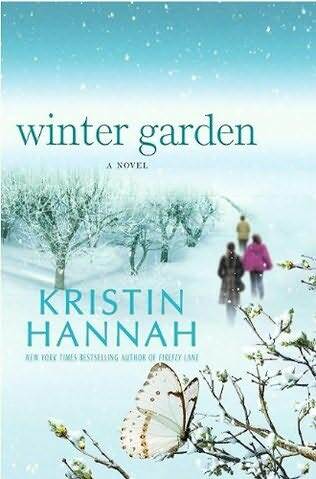 Those of you who have read Kristin Hannah are already aware of how intensely moving her novels are. Winter Garden is no exception. It is a stirring depiction of two daughters, Meredith and Nina, dealing with the death of their beloved father and his request of them to get to know their secretive and reserved mother. They must get her to continue telling them the fairy tale she had started when they were young but hadn't yet finished. As the novel (and fairy tale) unfold we learn how their mother's repressed behavior toward her own daughters has affected their lives and relationships. Since I don't do spoilers I will reveal no more specifics. I'll just say when Meredith, Nina, and their mother go to Alaska together more than just the majestic beauty of the area is revealed. Kay Scarpetta has been training at the Dover Port Mortuary, mastering the art of 'virtual autopsy' - a groundbreaking procedure that could soon revolutionize forensic science. And it is not too long before these new skills urgently need to be put into practice. A young man drops dead, apparently from a heart condition, eerily close to Scarpetta's home. But when his body is examined the next morning, there are stunning indications that he may have been alive when he was zipped inside a pouch and locked inside the cooler. 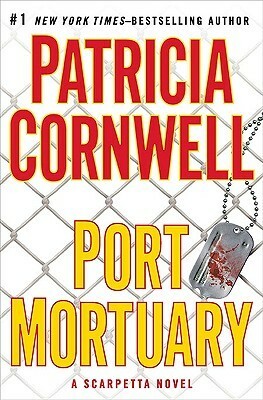 When the revolutionary 3D radiology scans reveal more shocking details about internal injuries unlike any Scarpetta has ever seen, Scarpetta realizes that this is a case of murder and that she is fighting a cunning and uniquely cruel enemy. Now it is a race against time to discover who and why before more people die. But that time is running out ... Patricia Cornwell is the 2008 winner of the Galaxy British Book Awards' Books Direct Crime Thriller of the Year? the first American ever to win this prestigious award. Postmortem was the only novel to win five major crime awards in a single year and Cruel and Unusual won the coveted Gold Dagger Award in 1993. After not being able to finish the two previous Scarpetta novels (Scarpetta and The Scarpetta Factor) and barely finishing several (Book of the Dead, Predator, Trace, Blow Fly), before them, I am fairly pleased with Port Mortuary. In comparison, that is. I found it heavy on confusing dialogue but felt returning to Scarpetta's point of view was its saving grace. It was a complex storyline with seemingly unrelated things ultimately being connected. There was a number of very clever lines of dialogue and I enjoyed Kay's interaction with the Greyhound, Sock. I will give the current Scarpetta novel, Red Mist, a try and be hopeful that I find it interesting enough to finish as well. This Christmas I'm thinking out of the box. My gift under the tree isn't in a box wrapped in shiny paper. No, my gift is Lizzie - her companionship. Everyday. Around-the-clock. All year. Not just for those special days - birthdays, Christmas...She is with me when my family is away or busy. Her constant, quiet, timid demeanor is a true comfort to me. I try to be a comfort to her, as well. 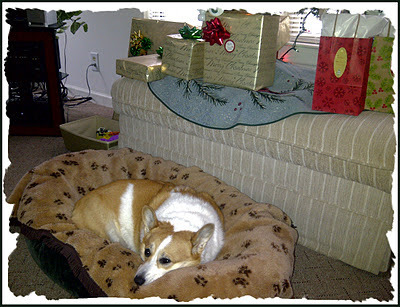 I'm offering her pep talks so she'll get in her bed even though there is now a towering tree and scary boxes above it. I'm coaxing her past the basket on the floor in the hall and the decorated broom by the front door. I think it helps. I hope it helps. She's generally extremely quiet but acts outrageously silly with her toys and when on the shore of the river. She's quite frightened of the wind and thunderstorms in the house, but isn't afraid to go outside in the rain, wind, or snow. She loves the snow! Even more than playing at the beach. Watching her enjoy herself free from the things that worry her makes me happier than any gift in a box ever could. She's so patient while I take care of her eye, give her a 'Peticure', groom her, and brush her teeth. She never seems to assume it's time to eat or go outside. She simply waits for the cues and then gets appropriately excited. When I find myself worrying about things or a little sad Lizzie is always nearby. Taking her for a walk. Talking to her. Petting her. She is my constant companion. Her presence is my comfort, and, yes, joy! But Honor soon discovers that even those close to her can't be trusted. Coburn claims that her beloved late husband possessed something extremely valuable that places Honor and her daughter in grave danger. Coburn is there to retrieve it -- at any cost. From FBI offices in Washington, D.C., to a rundown shrimp boat in coastal Louisiana, Coburn and Honor run for their lives from the very people sworn to protect them and unravel a web of corruption and depravity that threatens not only them but the fabric of our society. 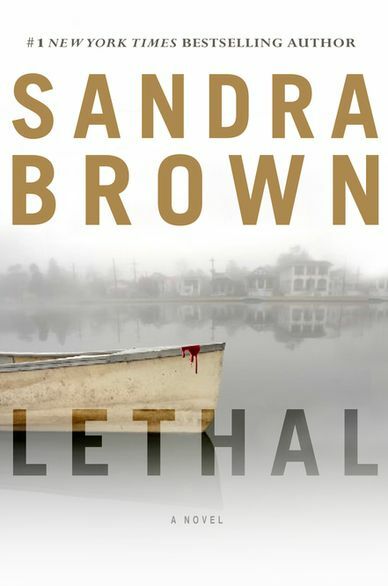 Lethal is the 53rd book I've read by Sandra Brown. I was so into it I thought I had been reading it for two days. Come to find out, I only started it yesterday afternoon! Talk about an engrossing read! The one thing I missed with this book was any sign of the Louisiana dialect. Sure, it's stated the story takes place in Louisiana and there are plenty of geographical mentions, but I wanted the characters to read like they're from Louisiana. You know what I mean? Sandra has done it before (Slow Heat in Heaven comes to mind). I wonder why not in this one? (A little hint here and there would have been nice.) There are plenty of twists and turns, and I couldn't settle on what characters could be fully trusted. I felt most of Honor's reactions came across realistically. Emily was adorable! Lee Coburn acted a little like a sociopath for my tastes, but he was amendable with Honor and Emily's influence. I had an inkling who The Bookkeeper might be in chapter 34, but WOW what an exciting reveal! Oh, the ending...not the tidily wrapped up one we might hope for, but we know what happens, don't we? 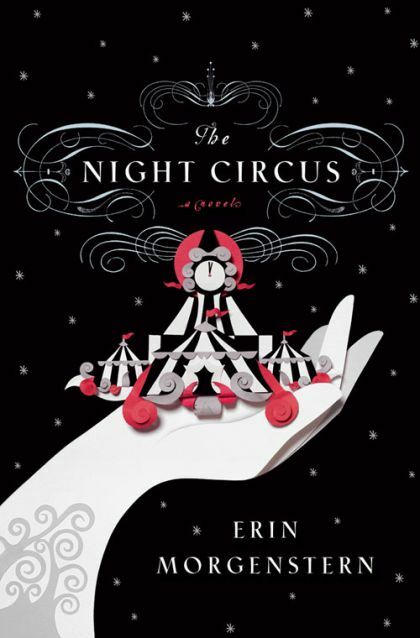 I have withheld reading any in-depth descriptions or reviews of The Night Circus. I had read bits and pieces of an extended sample, and after noticing a recent review on Goodreads, added it to my 'to-read-or-not-to-read' shelf. If I had read more about the book I doubt I would have read the book. I'm not intrigued by circuses or illusions, at all. The cover art didn't attract my attention. I do like historical fiction though. It was after my daughter sped through it and pronounced it "wonderful" that I knew I would give it a chance. I don't think The Night Circus would fill the requirements for those seeking a plot-driven book. I thought of it kind of like a magical voice was guiding me along a winding, colorfully illustrated walkway. Everything but that walkway was dark and there were no other sounds but that enchanting narration. Once I got into the rhythm (the alternating timeline of the chapters), and found the magical characters had charmed me, I was hooked. This is a very visual story which could easily have been without a soul. I believe Erin Morgenstern kept the two aspects balanced beautifully! “You may tell a tale that takes up residence in someone's soul, becomes their blood and self and purpose. That tale will move them and drive them and who knows that they might do because of it, because of your words. That is your role, your gift.” ~ Mr. Alexander H.